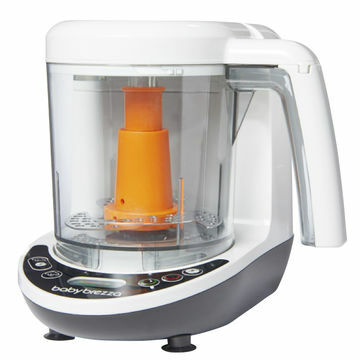 The Baby Brezza Glass One Step Baby Food Maker shortens the puree process: Add chunks of whatever raw fruits or vegetables are on the menu, and the device will steam, cook, and blend ‘em together. $160. 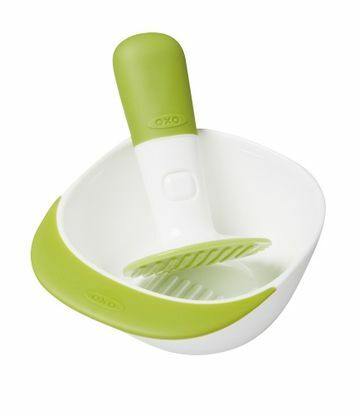 The OXO Tot Food Masher quickly turns steamed veggies and fruit into homemade baby food. Crush up produce with it and serve straight from the bowl, or slap on the lid and put it in the fridge for later. $10. 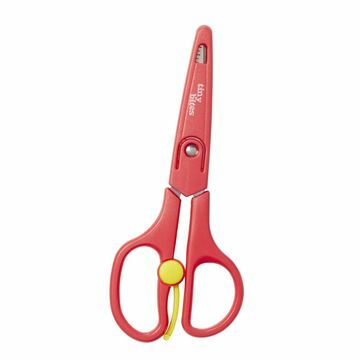 Transform chicken breasts, peppers, pizza, and more into safe servings with the Tiny Bites Food Shears. An on-blade ruler lets you measure to precisely half an inch, the recommended bite size for babies and toddlers. $11 for a set of two. Keep food fresh and snacks securely packed with Wean Bowls. 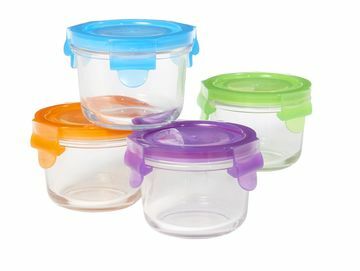 These glass containers are safe to use in the dishwasher, freezer, and microwave, and have snap-lock lids for no-fuss storage or on-the-go meals. $20 for a set of four. 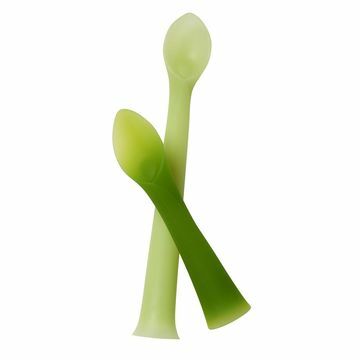 The flexible food-grade silicone Olababy Feeding Spoon makes it simple to scoop out hard-to-reach bits of jarred puree. It comes with a suction-cup base so your table stays clean, and the accompanying training spoon doubles as a teether. $15 for a set of two.